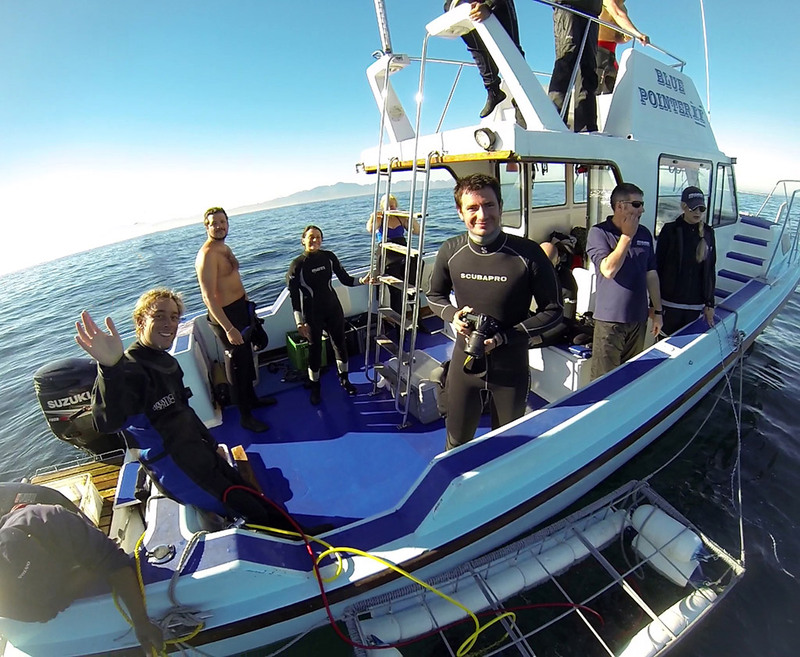 South Africa is one of the few places in the world where cage diving with great white sharks has a high rate of success. The weather conditions and the abundance of food is just perfect for spotting this majestic creature. The great white shark is the well known King of the ocean, a big shark that can reach up to 6 mt in length, 3,300 kg in weight and live up to 30 years. Prefers water temperature between 12 and 24. An amazing creature that you can watch from the safety of an underwater cage. 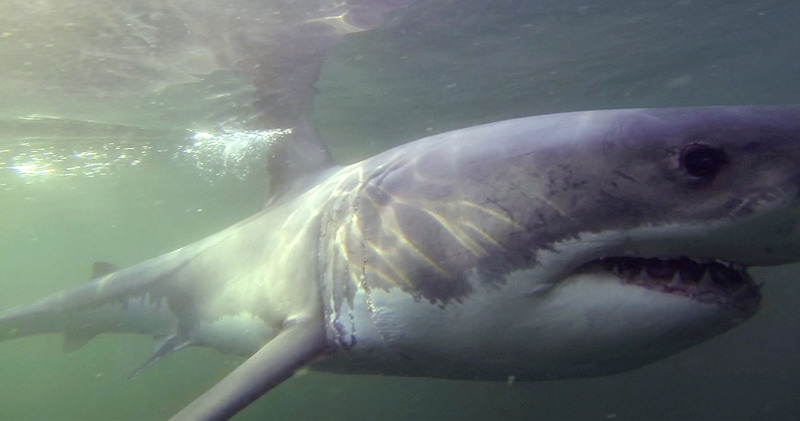 Great white sharks have been spotted in United States (Atlantic Northeast and California), Japan, Oceania, Chile, and the Mediterranean, but by far the best location of all to cage diving with them is in South Africa and more precisely Seal Island in False Bay and Dyer Island in Gansbaai. The most active period to have better chances is between February and September. 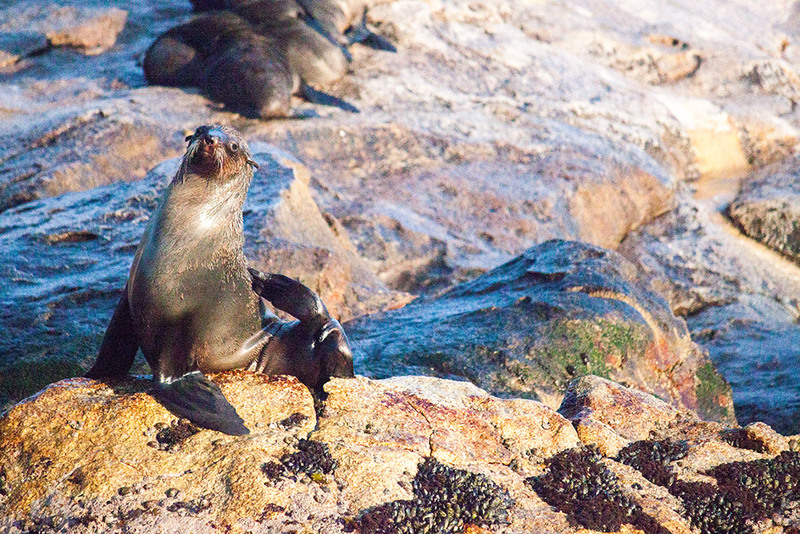 You rather go around the Seal Island in False Bay because is less touristy and in the right season you have very good chances to see the great white. The departure is early in the morning, around 6am, and it takes 30 minutes to reach the spot. 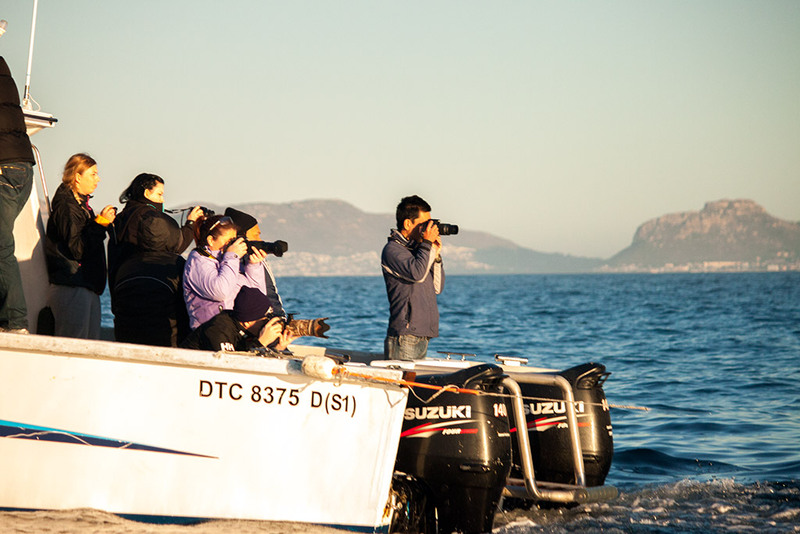 The morning dives in three main activities: Natural predation, Decoy predation and Cage Diving. As soon as you arrive at Seal Island the spotting contest starts, everyone looks around for seals returning to the island and for sharks trying to get they breakfast. The sun is still low but you can feel the activity in the air. Now is the moment when you see the “flying sharks”; keep always an eye on the most solitaire seal and you’ll get the natural predation jump. When the sun starts to raise or if there is not much activity going on the staff will tow a seal shape in the water to attract some great white trying to give them a bit. That is the photographers moment. Your camera should be pointed at the decoy and your finger should be on the camera trigger. 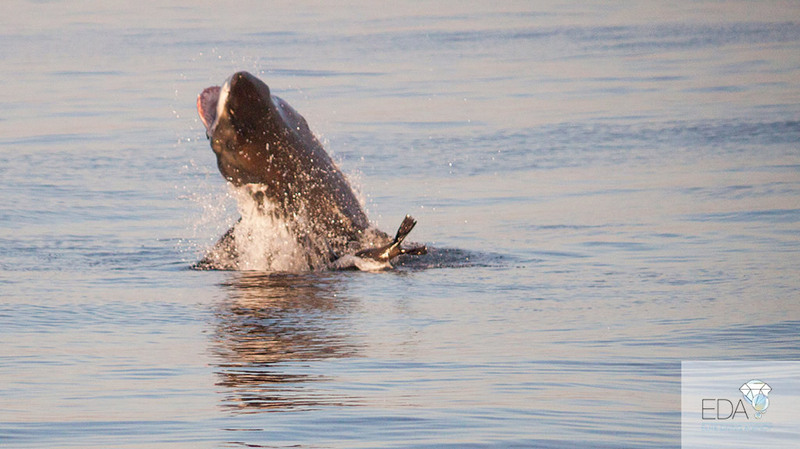 Here is when you take the perfect shot of a flying shark. This is the real reason why you’re reading this article and why you start showing a great desire of anticipation when thinking about cage diving with great white sharks. The boat puts an anchor, the cage goes into the water and the divers get ready. A bit of chumming, some noise to attract the sharks and you’re ready to jump into the cage. A longhouse regulator hangs into the cage so that you can stay comfortable down and take pictures and video, and… you don’t want to come up to take a breath when the great white comes near the bars of the cage, nose to nose, sporting his natural killer grin, do you? These moments are vivid in the mind of whoever lived the cage diving and will be in yours for your lifetime though you experienced it only once. When everyone on the boat has a big satisfied smile, is time to go back home to check on the video and pictures. Have a look at the trip plan for the Sardine Run. Find out more about other sharks of South Africa. Comment here below to have more info or share your experience.